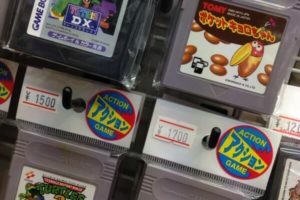 FURUKOMPU AKIHABARA and CARD WORLD TOWER AKIBA are fun stores with enormous card inventories! 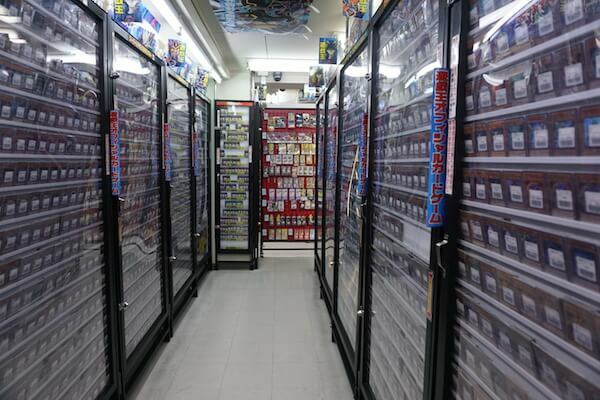 There are more than 30000 trading cards in Furukonpu, which makes it one of the two biggest stores in Akihabara. 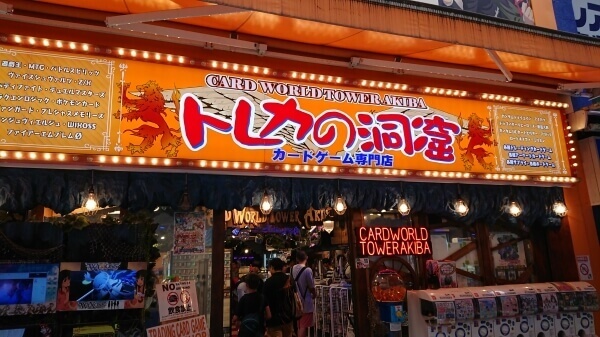 We introduce you a popular store filled with countless trading cards, including many famous titles like Yugioh and Sangokushi Taisen. 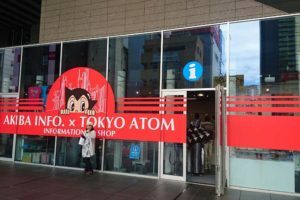 Furukonpu is a hobby store chain in Tokyo and Kanagawa. 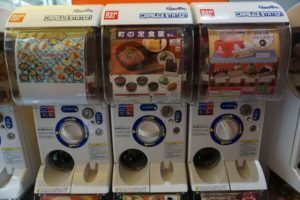 There you can find goods like trading cards, capsule-toy vending machines, and box figures. 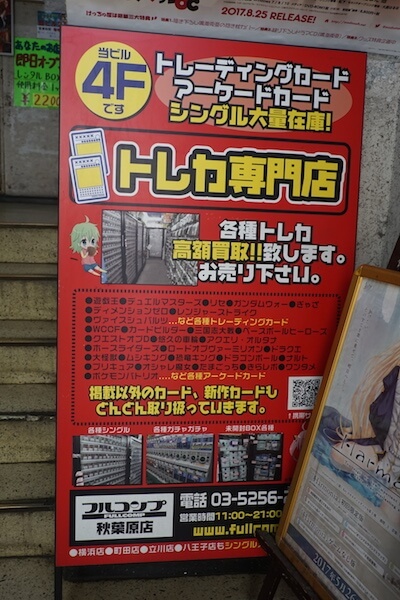 However, the Akihabara branch specializes in selling and buying trading cards. There are no trading cards you can’t find here. If there is a card you really want but you can’t find anywhere matter how hard you look, you should definitely check this store out. 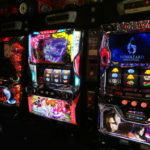 You will be blown away by the number of cards displayed! The fourth floor is home to a diverse collection of cards. The showcases with beautifully lined up cards will leave you breathless! You can find some great deals here! There is a reduced corner where you can find numerous discounted items. Because they have limited edition cards and promotional cards, I recommend you check the announcements and card titles so you don’t miss out on something. 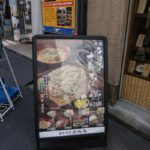 Since they also buy cards, it is a good place to exchange the cards you don’t need. If you plan on visiting the store again, you can get a point card and save even more money. 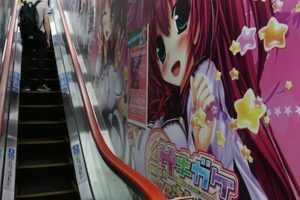 If you are looking for trading cards in Akihabara! Whether you want to buy a bunch of cards, get a hold of rare cards, or just want to sell the cards you already have, this is a perfect place for you. 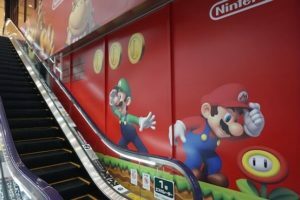 Card World Tower is a new store just outside Electric gate. 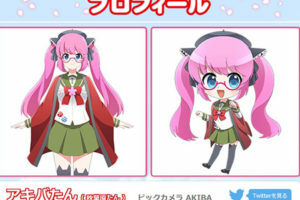 It carries MTG, Z/X, WIXOSS, Ange Vierge, Pokemon Monster, Kantai Collection Arcade, LOV, Sengoku War, Luck and Logic, Battle Spirits Special Memories, Dreadnought, Fire Emblem Flame 0, Yugioh, Buddy Fight, Vanguard, Duel Monsters, Weiß Schwarz, Dragon Ball Heroes, Mobile Suit Gundam, Granblue TCG, Aikatsu and Prepare. However, new titles are added regularly. 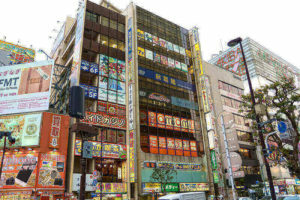 It may surprise you how big trading stores in Japan can actually be. 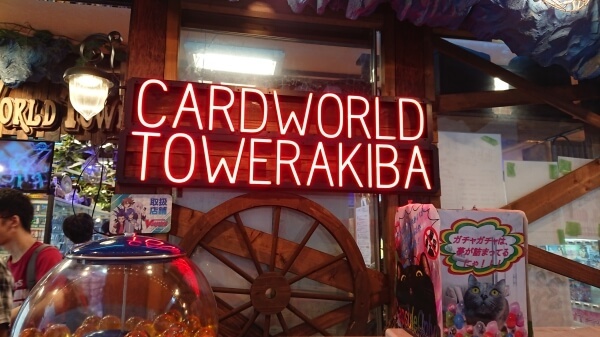 CARD WORLD TOWER AKIBA has seven floors. B1 is for buying secondhand cards. If you have any cards you don’t need, you could get pretty high prices here. 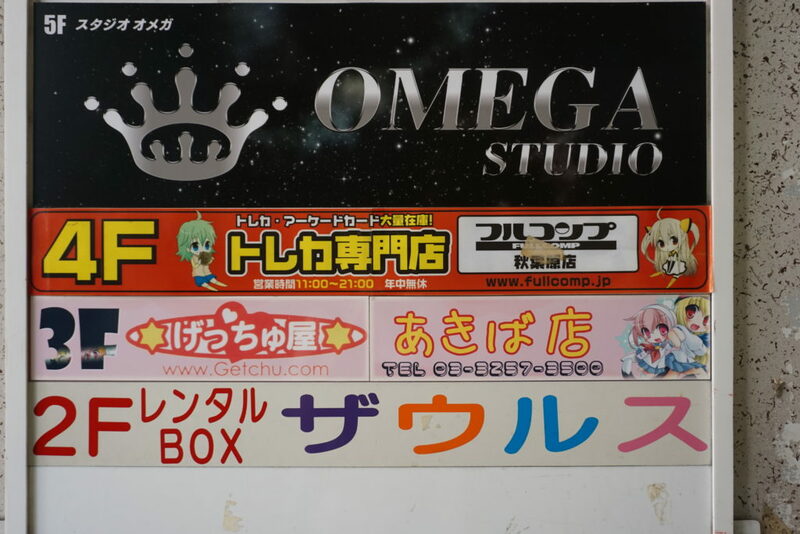 On the 1F, they sell new card packs, card sleeves, playmates and boardgames. 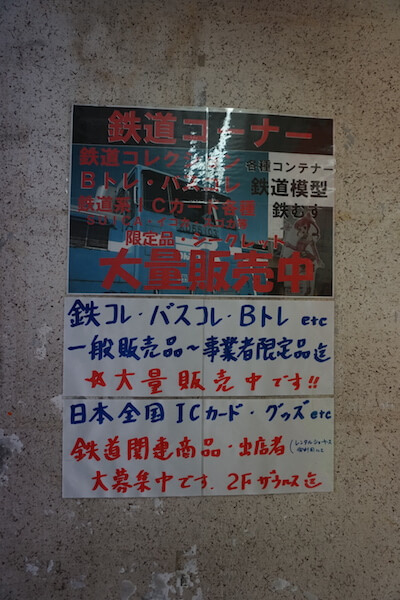 For those customers not looking to buy full packs, there are two floors (2F-3F) selling various single cards. The duel space occupies three upper floors with 220 seats where they have different events. You can find information about events on their Twitter page.